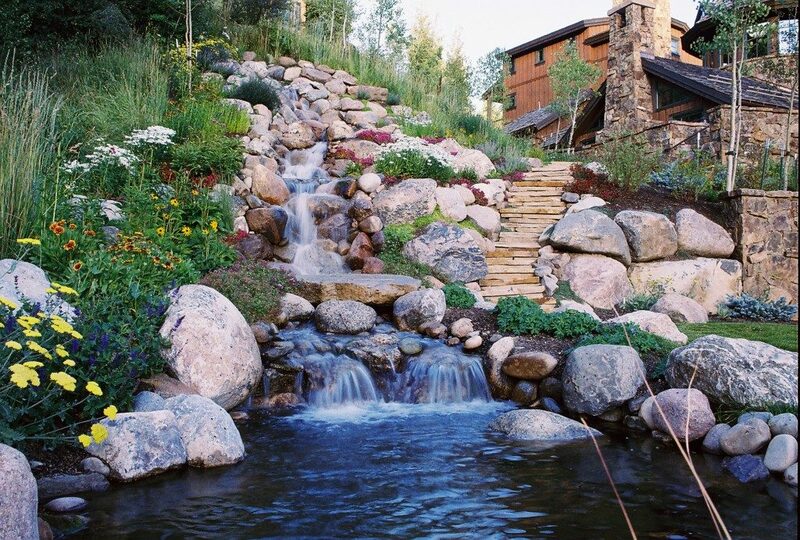 There is nothing that adds more interest and enjoyment to your outdoor landscape design than a water feature. Humans have reveled at the beauty of lakes, ponds and waterfalls occurring naturally since the beginning of time. Water features can provide a unique and naturally soothing beauty to your landscape. Some of our most extensive, award winning projects have been water features that make up over 70% of the total landscape design, with plants and lawn areas just providing accent! Stunning beauty, priceless enjoyment and easy maintenance! For a free quote on your custom water feature, call us today or submit a contact request.